CNAM stands for Caller ID Name. 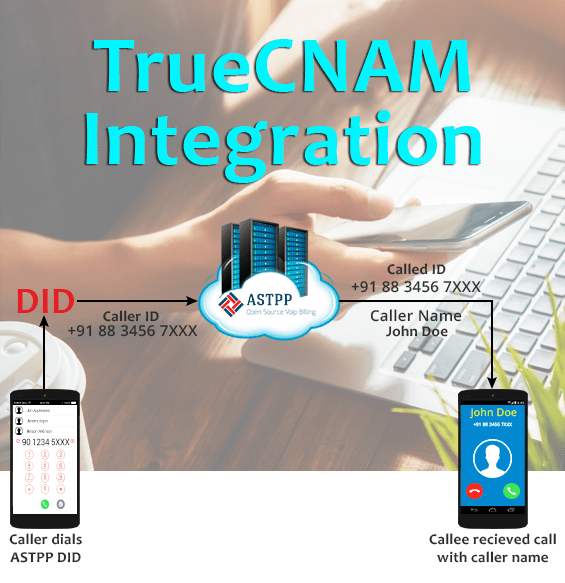 ASTPP provides full integration with TrueCNAM. By using this addon, your customers will get accurate caller name information when someone dial their incoming DID number. This will help users to easily identify the caller. When phone calls are made, there are usually two user-facing identifiable pieces of information: a phone number and a Caller ID Name (usually a 15-character string). CNAM can be used to display the calling party’s name alongside the phone number, to help users easily identify a caller. There are numerous CNAM lookup services which enables to lookup the CNAM of a specified caller (by phone number) by paying a small amount of fees. CNAM services charging per request. If we save information in database then we can skip lookup request for the same same caller id and save money. By resetting caller information from database, we will get updated caller name in case caller updates name in his phone. Note: Cost of CNAM lookup services is not included with this addon. That needs to be purchased separately by client based on usage. We will just provide integration of CNAM lookup service with ASTPP.